December | 2014 | Building Solutions. As seen in Church Executive Magazine: Church Executive Magazine is the go-to business resource for senior pastors, executive pastors and administrators at America’s largest churches. Beginning a seven-part series on worship space design can be a bit intimidating. There are so many avenues to consider, so many topics to discuss, and so many variables which can create completely different outcomes. The concept of worship is somewhat elusive in that the word means different things to different people. Similarly, the design of worship spaces — or, better said, the ability to create a space which evokes and contributes to a person’s worship experience — has equally different meanings to different people. Space, in general, has different effects on people. Suffice it to say that we will likely only touch the “hem of the topic.” But, in doing so, maybe we can establish some critical criteria from which to serve you as you consider how to apply the series’ tenets to your own churches. The most important concept to communicate throughout this series is this: Every church is different. In fact, at the risk of sounding repetitive, every church is so different that the point can’t be overstressed. Health. Each church and its leadership has a need to constantly measure the unity of the body — its health — as one significant lens.Culture. Each church has a culture which (while hopefully in a slow constant change for all the good reasons) is another lens through which to view the entire concept of worship space design. Ministries and programs. For many of us, an easier connection to the thought of designing worship spaces can be observed through the lens of ministries and programs. Facilities. Obviously, existing facilities and / or the thought of future facilities impact this thought process as one considers worship space design. Giving. A church’s financial capability to fund the design and construction of a worship space has a tremendous impact on this process. Location. 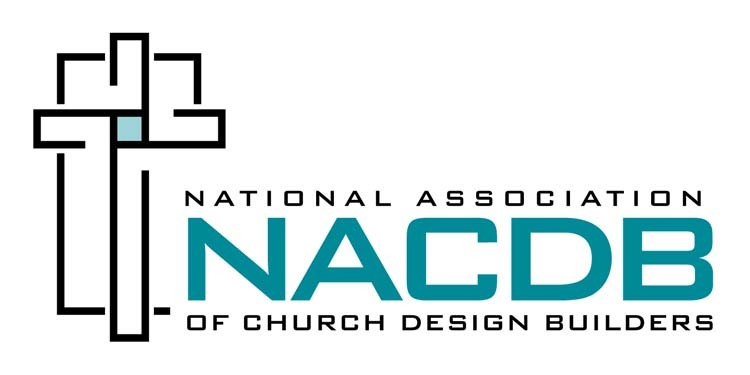 Finally, the location — not only in terms of locale, but also region, country and the world — will impact the design of a worship space. The desire is to incorporate critical information about these topics for use by you, the readers, as you consider all the questions surrounding the worship area — which, at any church, is the heart of the campus for members and visitors alike. In today’s post-church U.S. culture, a new paradigm has emerged. The creation of a worship environment is more challenging — for all types of worship spaces — than in earlier decades. In many cases, the public’s recognition of — and response to — church architecture is somewhat less than positive now; it might even be characterized as intimidating and austere. The vocabulary of church architecture (stained glass, soaring heights, masonry, the long basilica plan) is received by those who experience it as less than welcoming. 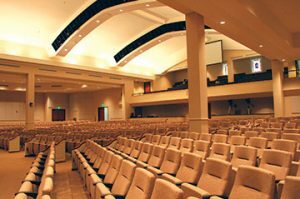 Given the new paradigm, how do we design worship spaces which will communicate to the attender / visitor a warm, welcoming environment — not intimidating or austere — while clearly pointing people to the One we worship? Is it possible to accomplish this task and let the communications and technology be awesome, yet not the focus of the space? The practicality of the process has many moving parts. There is the structure of the church itself, which includes its denomination or affiliation with like-minded churches. There is a church staff, including the leader (pastor) and sometimes various staff members. There is usually at least one committee (if not more) which plays a critical role in the process. There can also be a host of design professionals /consultants, including the architect, various engineers and specialty consultants for technology, seating, liturgy and more. As if that is not enough, there are outside influences to the design process — money, project restraints related to site and / or other facilities, and specialty factors associated with the specific church client, to name a few. This series will allow all these elements to be fleshed out while covering the range of worship space types. Our desire is to provide meaningful information which will prove useful as the church executive reading the series puts the information to use.